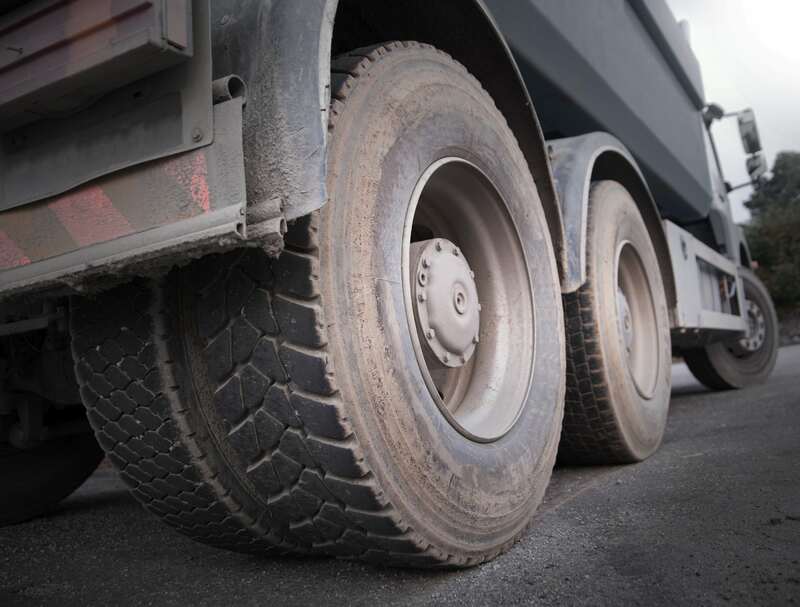 The first step you should take is to buy high-quality commercial truck tires that are built to last through extensive testing to ensure durability. Buying cheap tires may seem like a good idea to save you money up front, but it will end up costing you money over time. High-quality tires last longer and reduce the amount of maintenance they need. Improper tire inflation can lead to a host of problems, including increased wear, irregular wear, and blowouts. In the worst case scenario, poorly inflated tires can be a serious safety hazard. In the best case, it causes your tires to wear more quickly, meaning you’ll need to replace them sooner. Tires that are underinflated wear more quickly on the tire shoulders. Under inflation, in more extreme cases, can also weaken the tire sidewalls and ultimately lead to a structural failure. This is when ruptures and tread separations can happen. On the opposite end of the spectrum, over inflation is also a problem. An overinflated tire will wear more quickly in the middle and is also more likely to cause a blowout. Both kinds of improper inflation cause your tires to wear quickly in some areas. To prevent this problem, it’s essential to conduct regular tire inspections. Keep in mind that even if you adjusted your tires to the right PSI, they will lose pressure gradually over time, and more quickly in cold weather. Your tires wear differently depending on where they are located. Front tires wear more quickly on the shoulders, and rear tires generally wear more quickly in the middle. Overall, rear tires wear a little more quickly. Rotating your tires regularly helps to equalize this wear and keep all of your tires in good condition for longer. Ideally, you’ll be able to line up your tire rotations with other necessary service. You should, however, rotate your tires every 6,000 to 8,000 miles, even if your truck isn’t due in for other service. The inconvenience will be worth it for increased ride comfort and better tire longevity. The last thing you can do to help is regularly inspect your tires. It’s a good idea to make a visual inspect part of your pre-trip routine. Look over your tires to check for bulges, cuts, or irregularities in the tread wear. Irregularities may mean that your tires are wearing unevenly due to misalignment or improper inflation. A quick visual check can tip you off that a problem is emerging, enabling you to adjust your tires before the problem becomes serious.